There are a number of short walks around Trephina Gorge, with its wide views and sandy creekbed, and around John Hayes Rockhole that has steep narrow rock walls. 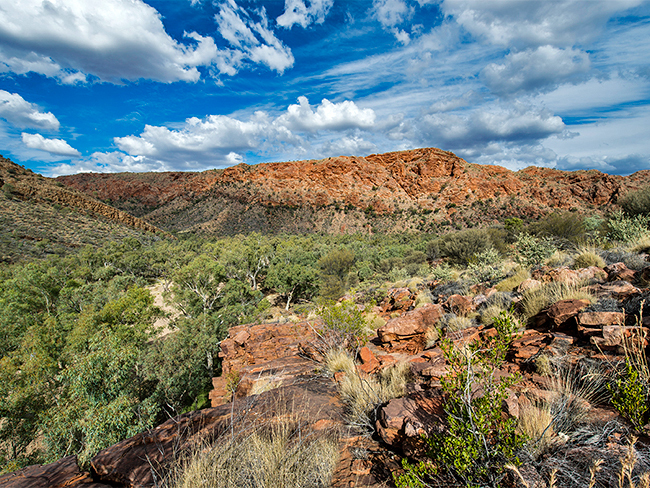 Experienced walkers can complete the Trephina Ridgetop Trail to John Hayes Rockhole and take in sweeping views of the East MacDonnell Ranges. While beautiful to look at, the water in John Hayes Rockhole can be very cold, even in summer. If it hasn't rained in a long time the waterholes may have dried up. If you sit near the waterholes, wallabies and several bird species may join you. The park has the largest ghost gum (Corymbia aparrerinja) in Australia. Get the Trephina Gorge Nature Park fact sheet and map (690.1 kb). 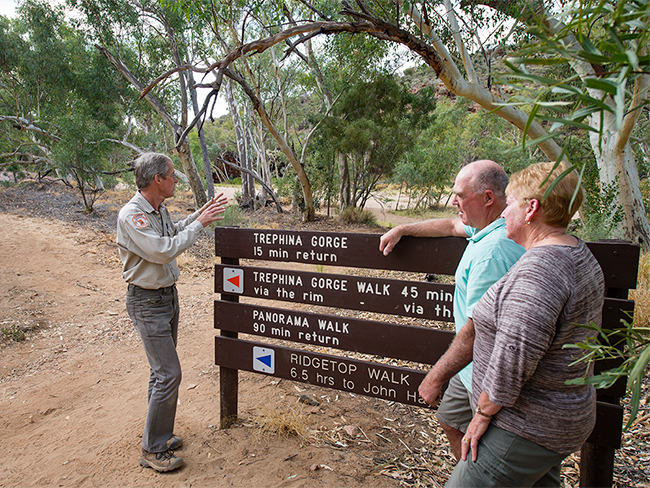 Get the Walks of Trephina Gorge information sheet (1.2 mb). The best time to visit is during the cooler months from April to September. Roads may be impassable after heavy rain. 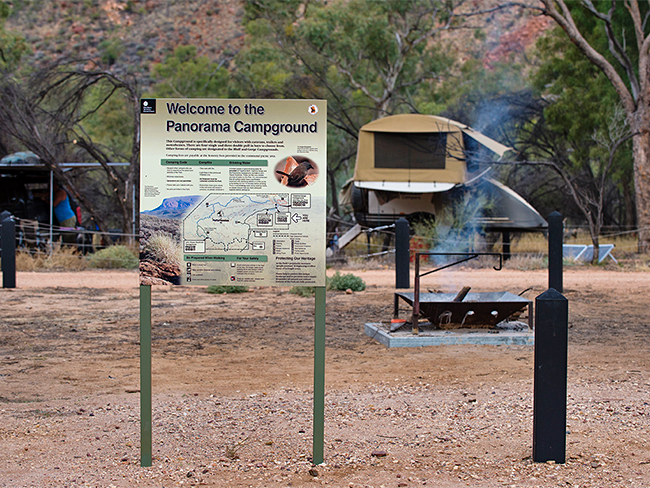 The park is 85km east of Alice Springs off the Ross Highway. The last 5km to Trephina Gorge is on an unsealed road. John Hayes Rockhole can be accessed by high clearance 4WD vehicles only. Camping fees apply and are payable on-site. If you're swimming be aware that most swimming holes are very cold and long exposure, even during summer, can lead to hypothermia. Temperatures at Trephina Gorge in summer can be extremely hot, so carry plenty of water with you when walking.